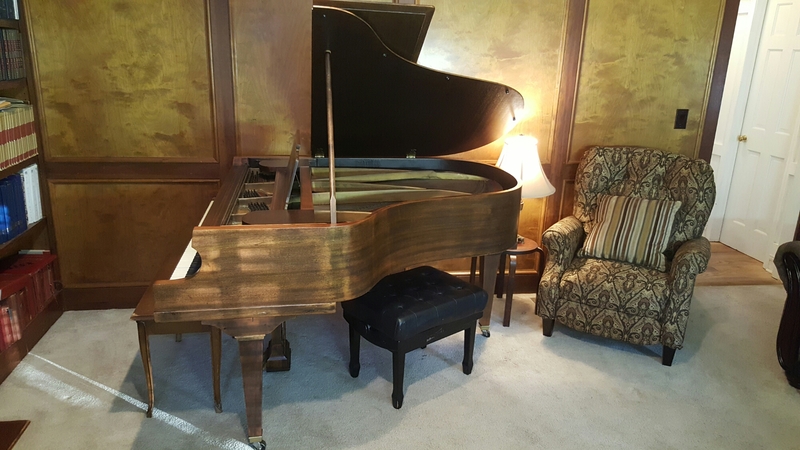 Made in 1923 this Chickering is a special anniversary edition piano. Its officially called a “Centennial Grand” which obviously celebrated Chickering’s 100 year anniversary. 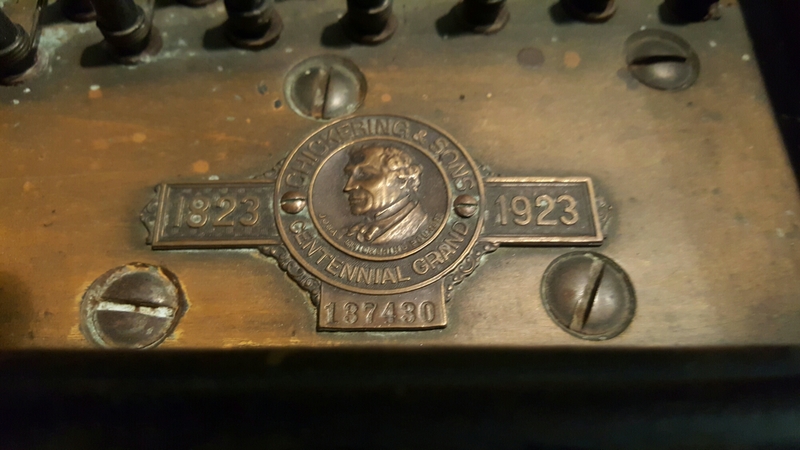 As research has shown you Chickering was one of the elite brands during the “Golden Age” of piano making. 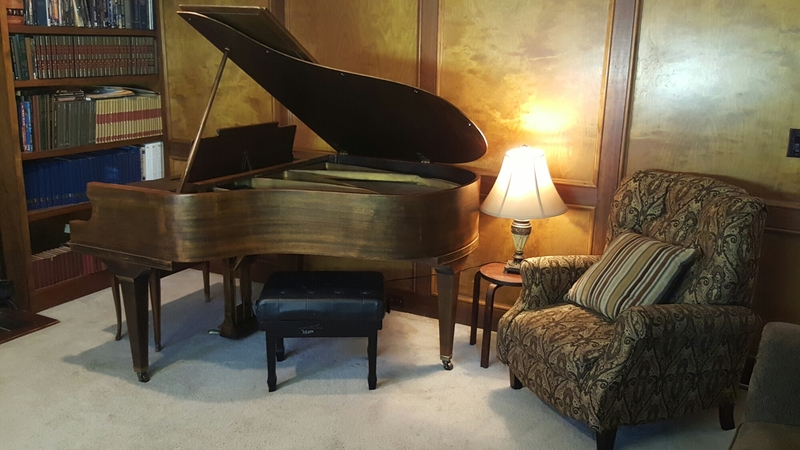 The piano has been refinished at some point in the past. The finish is a brown mahogany. I have seen better refinish jobs but it is satisfactory. 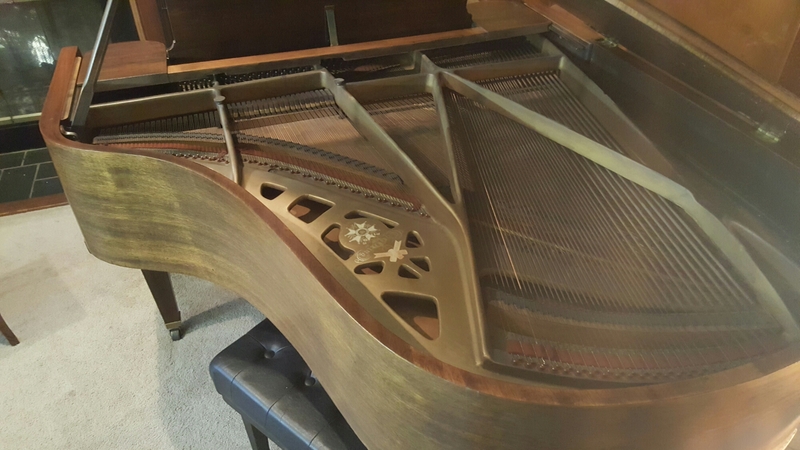 The piano plays well as all keys work and the action is quite free and easy to control for an all original piano. I think one of.the greatest highlights of this piano is its ivory keyboard. I couldn’t find any splits in any of the keys and they cleaned up quite well. The color is consistent across the entire keyboard. 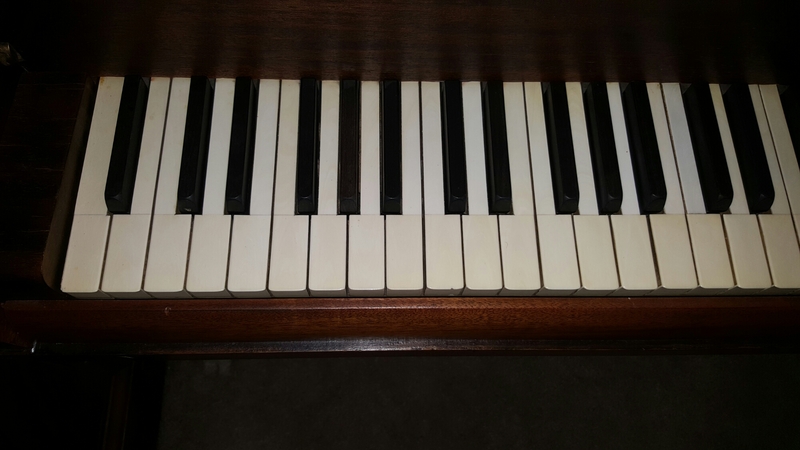 An all original keyboard in this condition is easily worth $2000! 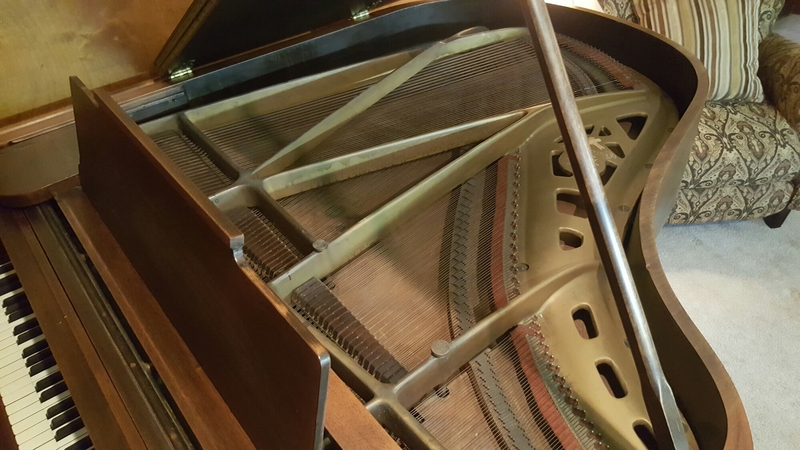 At the current time the piano has not been tuned as it was a trade-in on another baby grand however the pinblock looks to be in good condition. 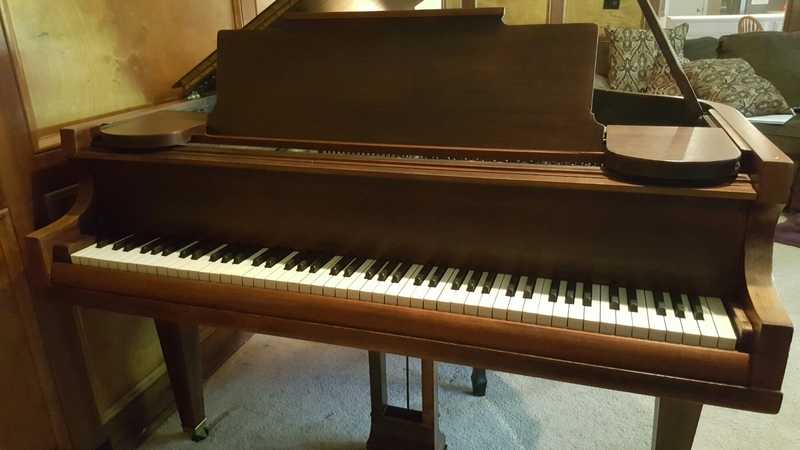 I am asking $900 for this piano. Wow thats a nice looking piano. Thanks chim chim! It will make someone a good inexpensive instrument soon.